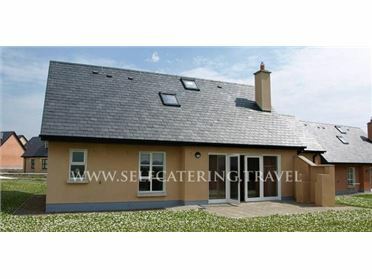 Gortagown Cottage is a lovely detached cottage located five miles from the village of Sneem in County Kerry. This cottage sleeps five people in two bedrooms, consisting of one twin and one family room with one double and one single, along with a bathroom and shower room. The cottage also has a kitchen with dining area, a sitting room with open fire and a reading room. Outside there's off road parking for three cars and a lawned garden. Gortagown Cottage is a cosy base for your Emerald Isle adventure. The village of Sneem is situated between the towns of Kenmare and Waterville, and on the route of the Kerry Way. The village has shops, pubs and a number of cosy tea rooms, along with rows of brightly coloured houses. Oil central heating with open fire. Electric oven and gas hob, microwave, fridge, freezer, washing machine, tumble dryer, dishwasher, TV with Saorview, selection of books. Fuel, power and starter pack for fire inc. in rent. Bed linen and towels inc. in rent. Off road parking for 3 cars. Lawned garden. One well-behaved dog welcome. Sorry, no smoking. Shop and pub 5 miles..